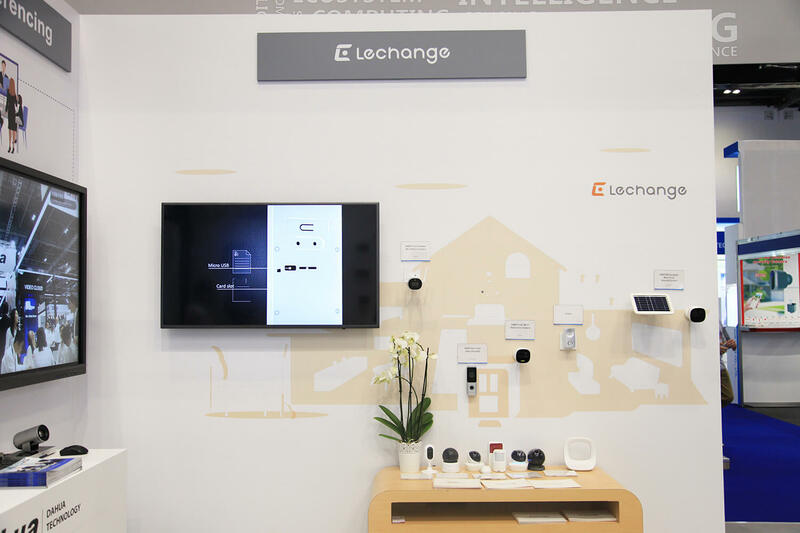 Running with the theme “Creating Value with AI,” Dahua Technology, a leading solution provider in the global video surveillance industry, is showing its technical innovation, comprehensive products as well as its AI-powered smart solutions in booth #C410 at IFSEC International 2018, ExCel London UK from June 19 to 21.Running with the theme “Creating Value with AI,” Dahua Technology, a leading solution provider in the global video surveillance industry, is showing its technical innovation, comprehensive products as well as its AI-powered smart solutions in booth #C410 at IFSEC International 2018, ExCel London UK from June 19 to 21. As Europe’s leading security event, IFSEC becomes the best place for Dahua to exhibit some of its newly launched products which makes surveillance system more efficient, intelligent and convenient. With years of investment, Dahua has successfully brought up the capability in artificial intelligence, including deep learning algorithms that primarily target people and vehicles, which provides higher flexibility and accuracy for end-users. This enables Dahua to support various advanced applications such as face recognition, ANPR, metadata collection and analysis, people counting, image search, facial flow, traffic incident detection and traffic data statistics. Supported by Movidius chip based on deep learning algorithms and dual lens, dual sensor design, IPC-HDW8341-3D enables quick image information extraction from high-resolution videos for people accounting, with several accounting modes for different use and extremely high accuracy up to 98 percent. AI-driven IP camera IPC-HF8242F-FR provides excellent face detection, which can even capture 16 images in one frame, and extract various face attribute such as gender, age, and personal emotion from the image. Also, after uploading the image to the cloud, it enables efficient real-time image comparison, with the false positive rate proved to be lower than 0.0002 percent. Last but not least, Dahua also put highlights on the LDV49-SAI200 commercial display product, a floor standing digital signage has offered multiple play modes, play formats and permission settings and management to meet the different scenarios. Besides, it supports several communication ways such as cable, Wi-Fi and 4G modules. Equipped with face recognition camera based on AI technology, it can even customize advertising for targeted customers, according to their age, gender, emotion and dress while keeping personal data confidential. Modern surveillance and security is all about total solutions. 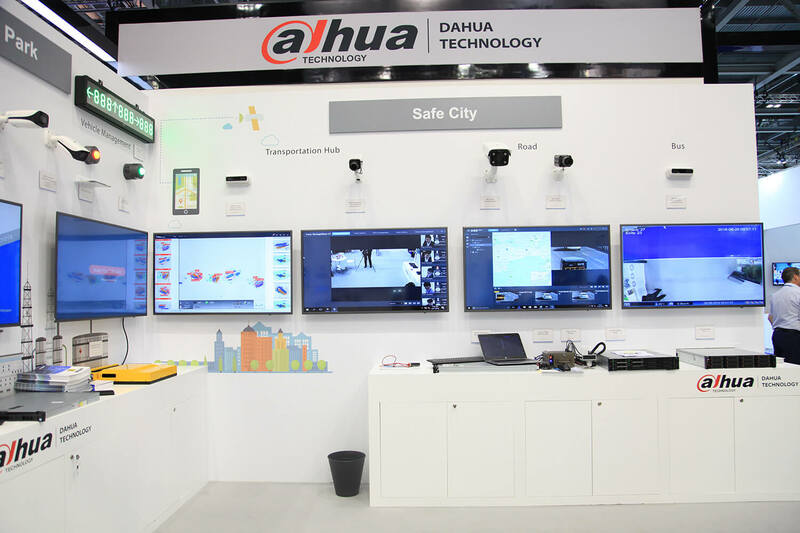 On IFSEC, Dahua also introduced 3 different smart solutions powered by AI and other unique intelligent technologies, including Safe City, Smart Retail 2.0, Smart Residential, etc. Leveraging the robust Dahua surveillance product while injecting AI technologies featured in deep learning, the Dahua smart solutions become more effective, efficient and easy-to-operate. Dahua smart retail 2.0 and Smart Residential is all about the integration of conventional security system and newly developed intelligent functionalities. The Smart Retail includes 5 smart application scenarios: Smart Entrance & Exit, Shelf advertising, Checkout Counter Prevention, Operation Analysis and Remote Patrol, which has successfully cover the conventional safety concerns while also enabling more possibilities of business intelligence. Themed with “AI + Intelligent” and “Smart + Internet,” Dahua Smart Residential Solution features seamless access, smart home and intelligent management, enabling residents to enjoy better secured, convenient and connected life. Everyone is welcomed to visit Dahua Technology at booth #C410 in ExCel London. With a mission of “Enabling a Safer Society and Smarter Living,” Dahua Technology will continue to focus on “Innovation, Quality and Service” to serve partners and customers around the world.